There are two things that embody the Ecology spirit. The first is the desire to fill your home with modern and functional tableware that will transcend the ages. The second is the commitment to reduce its environmental footprint by using sustainable production processes and recycled packaging materials. When it comes to the Staples Foundry Ecology has these two bases well and truly covered. With this Compost Bin, you can fertilise your garden naturally using the food scraps from your kitchen. 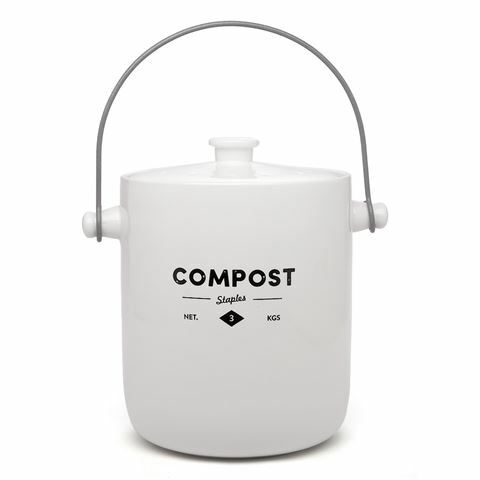 Designed in Australia and made from fine porcelain, this compost bin features a wire carry handle and easy lift lid with ventilation holes. The simple decoration and high gloss finish will look right at home on your kitchen bench, and it's completely dishwasher safe too, for hassle-free clean up. Create a greener future, with Ecology. Made from fine porcelain with a glossy glaze. 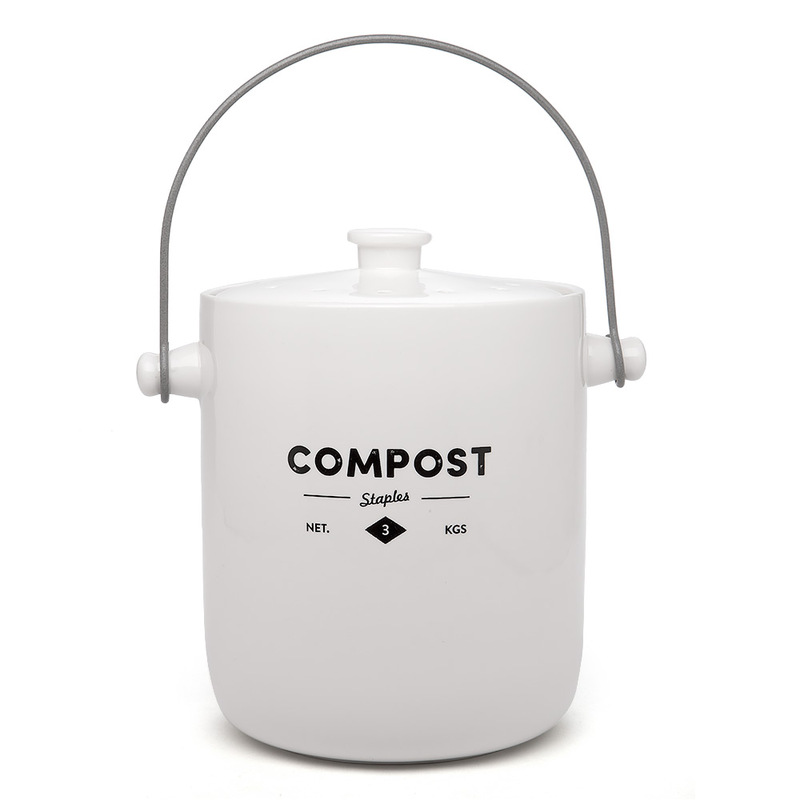 Creates natural compost from food scraps. Features clean graphics and simple bold lines. One replaceable carbon filter fitted to underside of lid. Wire handle and easy-lift lid with knob handle and ventilation holes. Presented in an Ecology gift box made from recycled and recyclable materials.